Brooklyn ChallahTM. That’s right! It’s not just Challah, it’s Brooklyn ChallahTM. 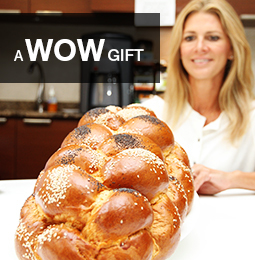 We have been amazed to what extent the authenticity of our Brooklyn Challah has gone. It not only stands out as a unique and memorable Brooklyn Gift, it has become a sensational morning French toast. After all, Challah makes the best French toast! So can you imagine a Brooklyn ChallahTM French Toast! Delicious! Looking for an authentic bread? An experience?! Our Brooklyn ChallahTM will shock you! Try it out!